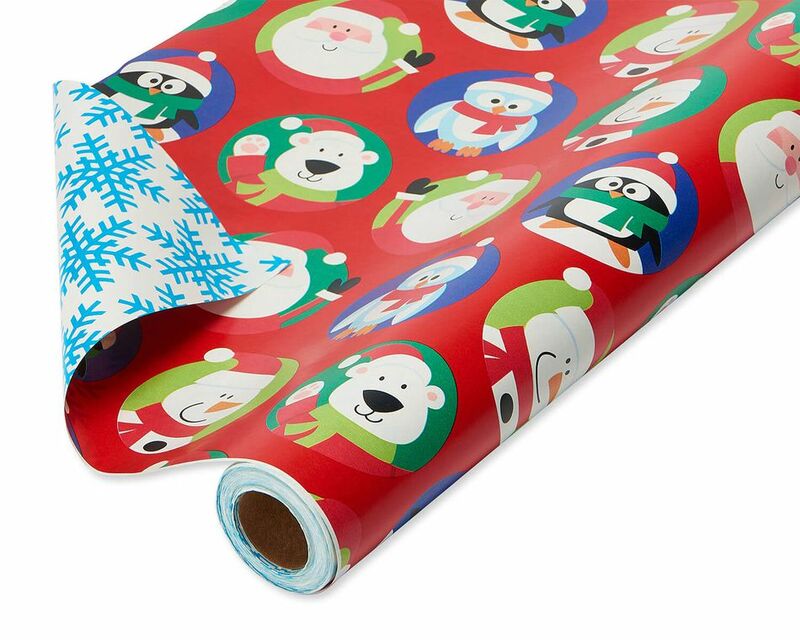 Make the season ho-ho-ho happy with bright and cheerful holiday wrapping paper! Perfect for kids and kids at heart, this reversible roll wrap design features cute holiday characters like Santa, snowmen, penguins, and polar bears on one side and bright blue snowflakes on the other side. 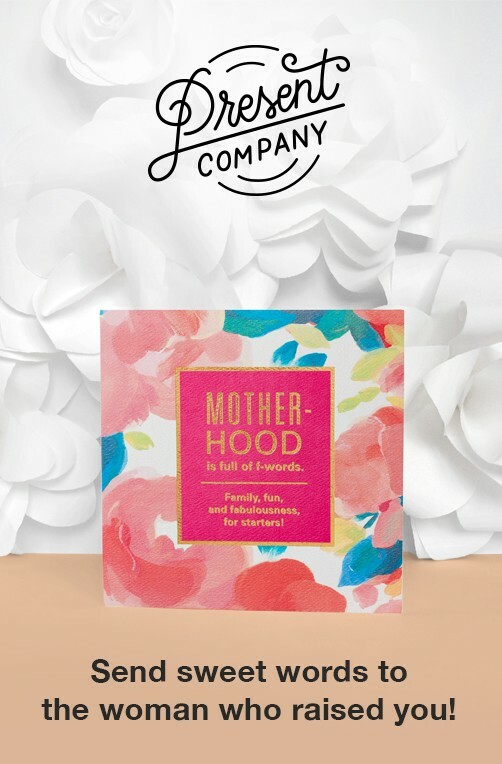 Use multiple patterns on one package by creating unique paper folds and pockets that add dimension and offer fun ways to attach a card or small gift. Great for crafts, too! 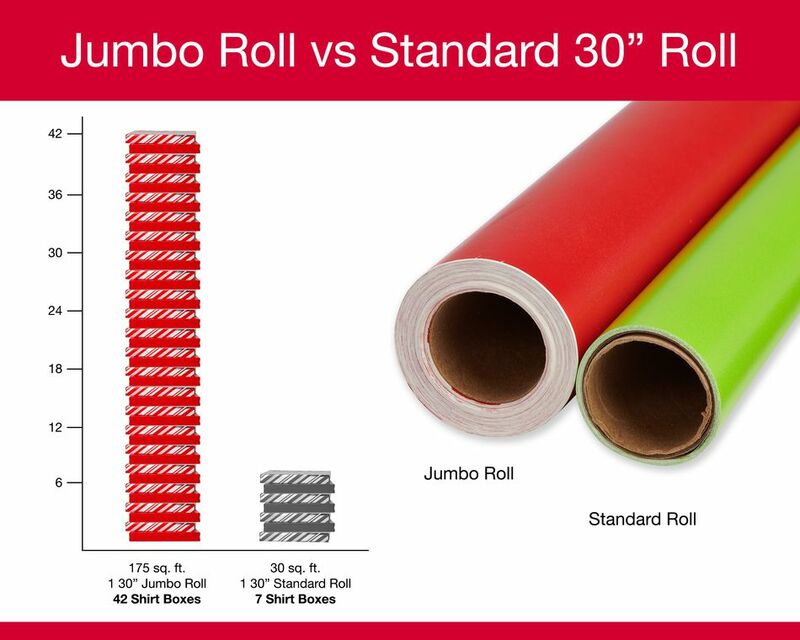 The mega roll features quality, durable paper in a continuous roll (no creases!) 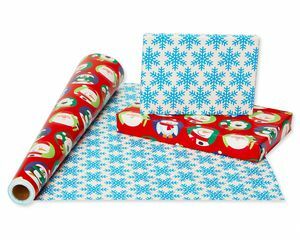 that won’t tear, isn’t see-through and is easy to cut, wrap and fold over lots and lots (as many as 42 boxes) of gifts. 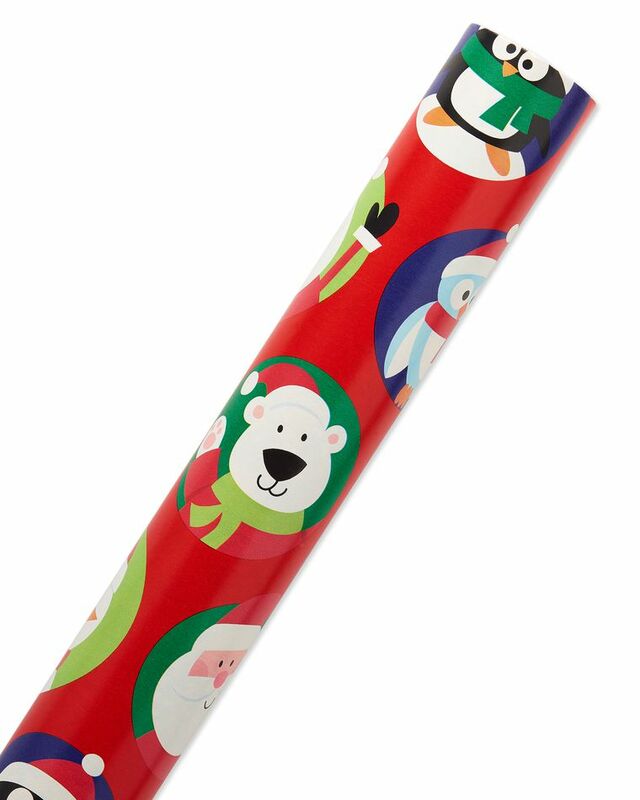 Use the wrapping paper on its own for a clean look or get fancy with a gift tag, tissue paper shapes, ribbons and bows (all sold separately). With both holiday and winter looks, this two-sided paper design is perfect for Christmas, winter birthdays and other seasonal celebrations! Jumbo roll measures 30 inches wide by 70 feet, 175 total square feet and can wrap approximately 42 shirt boxes that measure 15 inches x 9.5 inches x 2 inches.